Does floating on an inflatable flamingo, relaxing in the sun and hanging out with friends sound like your type of fun? Then a raft-up party on the Sydney Harbour is an absolute summer must. 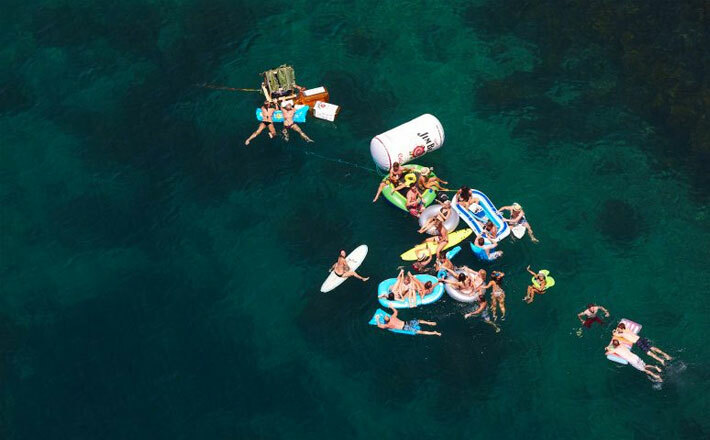 Whether it’s for a birthday, Hens party or just because it’s Saturday, raft up parties are an excellent way to spend a summer day. Party Boat Hire Sydney experiences are our expertise, so you can expect nothing but the best with us. 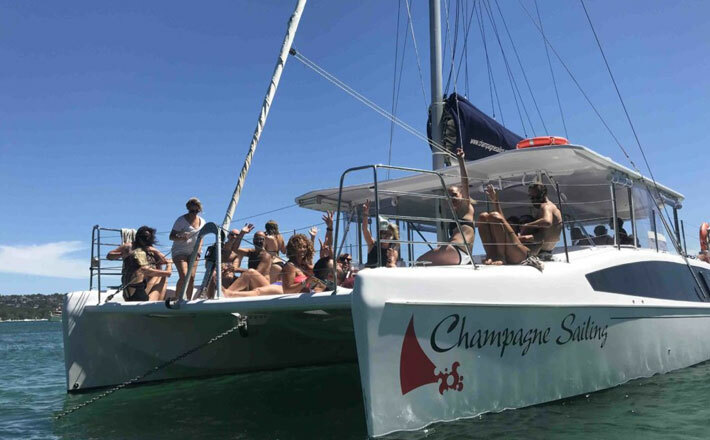 Grab 20 – 30 of your closest friends for a catamaran hire for an unforgettable day on Sydney Harbour. Board your skippered catamaran and head to a quiet corner of Sydney Harbour to start off your day of festivities. Catamarans join up to form a circle and drop anchor for the afternoon. The great thing about our party boat hire is that you don’t have to worry about set up and anchoring – Eastcoast Sailing does the hard work for you! All you need to worry about is relaxing and having a good time. Once anchored, jump in with your inflatable raft and the party starts! Soon you’ll be surrounded by inflatable unicorns, chairs and probably a blow-up mattress or two. Float along in the sunshine with your friends or make your way to the DJ boat to meet new friends and dance to the music. Speaking of music, no need to organise your own speakers – the DJ boat provides party music all day long. Feeling hungry? Head back to your boat to start the BBQ and grab lunch with your friends. Don’t forget to BYO enough food and drink to share – you don’t want to run out before the end of the day. Check out a raft-up party to experience a full day of swimming, sunbathing, and dancing with friends. It’s a must-do for a summertime boat party. For your party needs, Eastcoast Sailing provides the best boat hire Sydney experience. 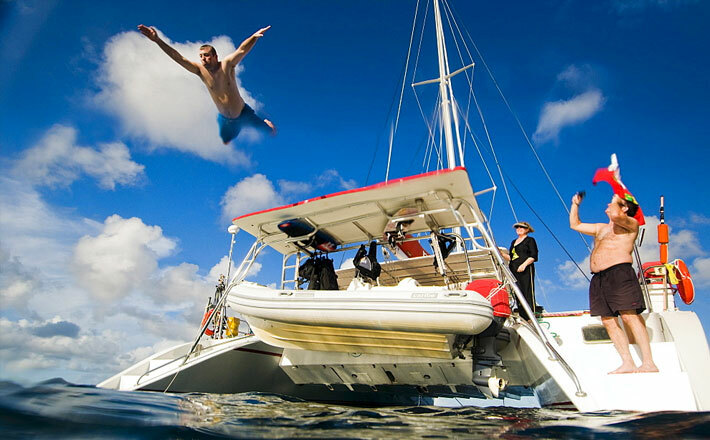 Contact us today for a catamaran hire or party boat hire in Sydney.